Written by Richard Brinsley Sheridan, this represents the finest example of Comedy of Manners of the period. It upholds the virtues of the middle class of the late 19th century; wickedness or vice is punished while virtue is rewarded. 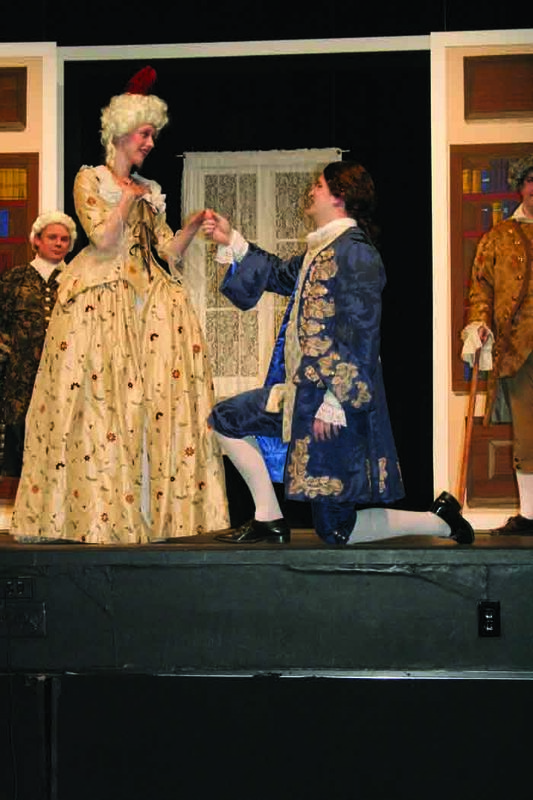 Alissa Peters plays the part of Maria is being proposed to by Mitchell Ewan who plays Charles Surface.